As many thought, Mitsubish would be pulling out of the U.S. market as they really donâ€™t have a substantial lineup to support sales here. On the contrary, they still seem to have a presence here and numbers have gone up. As they continue to improve their product and make upgrades, they seem to be bringing new customers to the brand. Some changes to the 2016 Mitsubishi Outlander include additional trim on the doors to distinguish the 2016 model from the 2015 Outlander. Other new touches include a are designed front fascia, more chrome, LED taillights with red lenses, LED position lights, new rear fascia tailgate extras. 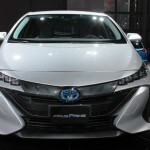 Models include the ES, SE, SEL and GT trim levels. Our test vehicle was the top-of-the-line GT S-AWC Outlander in Labrador Black Pearl. The top-of-the-line Outlander GT starts at $30,995 and only available with S-AWC. Included on our test GT model are Sirius XM satellite radio, auto on/off, power glass sunroof, rain-sensing windshield wipers, LED headlights, auto=dimming rearview mirror, roof rails, and 710-watt Rockford-Fosgate sound system (9 speakers, subwoofer), among a lot of standard equipment. The GT also comes equipped with paddle shifters (not sure why). Options included on our Outlander 3.0 GT S-AWC vehicle included just one: GT Touring package (MMCS navigation system with two annual mapcare updates; forward collision mitigation, adaptive cruise control, lane departure warning, $3,350). The Outlander isnâ€™t a bad sport-ute; there are just so many to choose from, Mitsubishi would be far from first on our list. However, this writer did notice while in the Outlander there are a fair amount of Mitsubishi Outlanders on the road. Pricing is fare, and our test Outlander came very well-equipped. If we remember right, Mitsubishi engines were known as reliable and trouble-free. We did a lot of highway driving in the Outlander and found it fairly quiet and for the most part, comfortable. However, it felt as though the vehicle was easily thrown off track, meaning the driver had to keep her hands on the wheel at all times. Not as heavy a vehicle as some SUVâ€™s, the Outlander did not have a solid feel. The 2016 Outlander offers two engine choices, both carried over from the 2015 Outlander. The 2.4-liter MIVEC SOHC 4-cylinder engine produces 166 horsepower and 162 lb-ft of torque, and is the only engine available in the ES, SE and SEL trim levels. The 2.4-liter is teamed with a next-generation continuously variable transmission. The 4-cylinder is rated at 25 mpg city/31 mpg hwy/27 mpg combined. Our all-wheel-drive GT Outlander gets the 3.0-liter V6 engine, with EPA ratings of 24/29/26 mpg. Warranty: 10 year/10,000-mile powertrain; 7 year/100,000-mile anti-corrosion/perforation; 5 year/60,000-mile new vehicle; 5 year/unlimited mileage roadside assistance. At long last, the 2016 Toyota Highlander gets a look that matters. The old design seemed to just blend into the crowd, forsaking any distinguishing features. 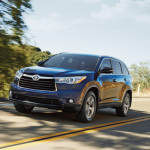 Now, with its new curves and shape, the 2016 Highlander is a better looking vehicle. Returning with just one â€˜factualâ€™ update is the now standard towing package (heavy-duty radiator, 200-watt fan coupling, bigger alternator, transmission fluid cooler), on all V6 trim levels. With all the sport-utes on the road, big and small, itâ€™s near impossible to stand out in the crowd. 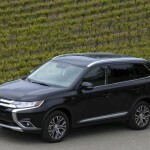 Competing with the likes of the Chevrolet Traverse, Dodge Durango, Honda Pilot, and Nissan Pathfinder, the Highlander is available in several versions, including Hybrid (in Limited trim only): LE ($29,990), LE V6 ($31,515), LE Plus V6 ($33,895), XLE ($36,815) and Limited ($40,415), Limited Platinum. The Highlander is not an inexpensive vehicle, and similar to its competitors, somewhat resembles a minivan. Seating eight, this is a large vehicle, with a flexible second row of seating and easily accessible third row. While it is an easy vehicle to drive and handle, it falls to those who are seeking a lot of extra room. Some have called the redesigned 2016 Highlander â€œbland.â€ While we might agree that description better describes the last generation Highlander, we happen to think the 2016 design is much improved. 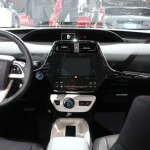 The interior is updated with new materials and a much busier dash design. Although equipped with a V-6 engine, horsepower is lacking and power just adequate. Our test vehicle was the XLE trim level, equipped with three options, including Rear-seat Blueray, DVD Entertainment System w/9-inch display, RCA Jacks, Remote and two wireless headphones ($1,810); Seating for 7; 2nd row Captainâ€™s Chairs; leather-trimmed second-row Captainâ€™s Chairs with folding side table w/two cupholders ($275), and Carpet floor mats and cargo mat ($225). Our Highlander XLE came in Shoreline Blue Pearl, a striking color choice. As expected in vehicles of this caliber, the Highlander comes equipped with all of the amenities one would want. Such new technology as enhanced vehicle stability control, ABS, Electronic brake=force distribution, brake assist and smart stop technology, Adaptive Cruise control, 8 airbags, Smart Key immobilizer/alarm and protector child seating and door locks. Our XLE version came equipped with a power tilt/slide moonroof with sunshade, leather seating (8-way driver, 4-way passenger, adjustable power liftgate, side-window sunshades, back-up camera, 8-inch display and Toyotaâ€™s Entune premium sound system/App suite, navigation, Homelink, AM/FM/CM/MP3/USB/Aux, HD and SXM. Tires are available in either 18-0r-19-inch size, and the Highlander sports a rear spoiler, LED running lights, and power sunroof. Cloth, premium cloth or leather upholstery is available, heated and ventilated seats with power-adjustable front seats. A telescoping tilt-steering wheel and cruise are standard, and on higher level trim vehicles, Toyota throws in 3-zone automatic climate control, auto-dimming rearview mirror, LED ambient cabin lighting, driver seat memory setting, and rear parking sensors. As with all Toyota products, one can depend on long-term driving and years of ownership. The Highlander is a comfortable and accommodating city and highway driving vehicle. It aims to please and continues to lead the market. Engine: 3.5-liter, DOHC V6, Dual VVT-1, 248 lb-ft torque, 270 hp. EPA fuel economy: 18/24 mpg., avg. 20 mpg. Mazda keeps getting better and better. One can never doubt the sportiness of their vehicles, and I have yet to meet a serious driver who doesnâ€™t like the Miata MX-5. The redesigned and refined sport-utes from Mazda are no exception. We test-drove the CX-3 on a roadtrip and enjoyed it, but felt it too small for our needs. Sporty and agile, the CX-3 is quite a bit smaller than the CX-5 which offers a more engaging driving experience. A roomier SUV with comfortable seating and desirable features, the CX-5 is more practical. Our test vehicle, the Grand Touring AWD version, came in over $33,000 and equipped with Mazdaâ€™s optional engine, the 2.5-liter. At only 184 horsepower, we found it wanting. Delivering 30 mph on the highway, the CX-5â€™s 2.5-liter is quieter than some, but just not enough horsepower to suit. 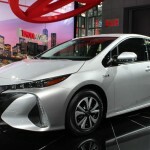 Acceleration is weak, although better than with the standard 2.0-liter engine. Amenities and materials seemed more upscale than in years past, and we had no trouble learning all the bells and whistles. The CX-5 even comes equipped with a CD player, a plus for this driver. For 2016, the Mazda CX-5 gets a few minor styling improvements, revised suspension tuning, added sound insulation and an update to the infotainment interface. 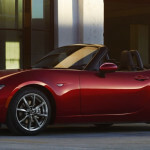 Mazda threw in a few new options, as well, such as LED headlights, adaptive cruise control, rear cross-traffic alert and lane departure warning. While we find the lane departure warning system more than annoying, we know itâ€™s a safety feature that may come in handy during those long road trips. Mazda has also increased cabin storage, enlarged the handy door pockets, and Bluetooth is standard. There are several trim levels available, in manual and automatic: Sport, Touring and Grand Touring versions, and in January, Mazda introduced a midyear update that includes a standard rearview camera on all but the manual Sport trim level, standard heated seats on the Touring trim and standard navigation for Touring and Grand Touring versions. As more and more CUVâ€™s join the already crowded market niche, the CX-5 is one of the best looking among the bunch. 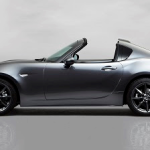 Others may offer a little bit better fuel economy (think: VW, Toyota), we enjoy Mazdaâ€™s sporty feel and off-road look. Visibility is good in the CX-5, the cabin is cozy and quiet and itâ€™s fun-to-drive. This writer has been rejecting SUVâ€™s since their inception, mostly due to preferring a â€˜performanceâ€™ sedan, but as life-and 4 dogs dictate-I may have to make a concession. Maybe Iâ€™ll miss my Miata less!! Among the many choices in this market niche are the Honda CR-V (a favorite over time), Ford Escape, Toyota RAV4, Jeep Cherokee and Subaru Forester. All good choices, and worthy contenders. Which is why this decision is so tough. The base Sport (standard 2.0-liter engine and manual transmission) sports standard17-inch alloy wheels, full power accessories, air-conditioning, cruise control, a height-adjustable driver seat, a tilt-and-telescoping steering wheel, a 60/40-split folding rear seat, Bluetooth phone and audio connectivity and a four-speaker sound system with a CD player, auxiliary audio jack and an iPod /USB interface. A Sport version is also available with Mazdaâ€™s 2.5-liter engine and automatic. Standard features include a 7-inch touchscreen, multifunction control knob, HD radio, Pandora Internet radio, automatic crash notification, SMS text message reading and audio system voice controls. 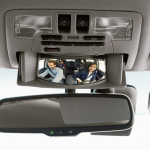 For the 2016.5 model, a rearview camera is also standard, but optional on the earlier 2016 version. This is confusing since we thought all vehicles for 2016 came equipped with standard rearview cameras. The Touring version adds such amenities as foglights, keyless ignition and entry, blind spot and rear cross-traffic warning systems, a six-way power driver seat, a height-adjustable passenger seat, a 40/20/40-split folding rear seat, upgraded cloth upholstery, a leather-wrapped steering wheel and a six-speaker sound system. Our Grand Touring trim level adds19-inch , automatic headlights, automatic windshield wipers, heated mirrors, dual-zone automatic climate control, satellite radio, heated front seats and leather upholstery. Our test model came with a few options, including cargo mat ($60), rear bumper guard ($100), roof rack, side rails ($275), door sill trim plates ($125), GT-I ACTIVSENSE package (Mazda radar cruise control, smart brake support, lane departure warning, high=beam control, $1,500), and Grand Touring tech package (Nav system, LED headlights, Adaptive front lighting, LED daytime running lights, LED foglights, LED combination taillights, Smart city brake support, Auto Dim Mirror w/Homelink, $1,505. A long, expensive list of goodies. The 2016 Mazda CX-5 is a nice looking CUV and turns heads with itâ€™s styling, and touring stance. Itâ€™s sporty look and athletic curves are sure to please and help it stand out in this market. It is a comfortable daily-driver and we recommend it highly.